Cake plays an important role in every celebration; these are one of the foremost items which we serve. The word cake brings an image of celebration in mind. Birthdays, wedding days, wedding anniversaries, Eid, religious festivals and New Year is incomplete without cake. 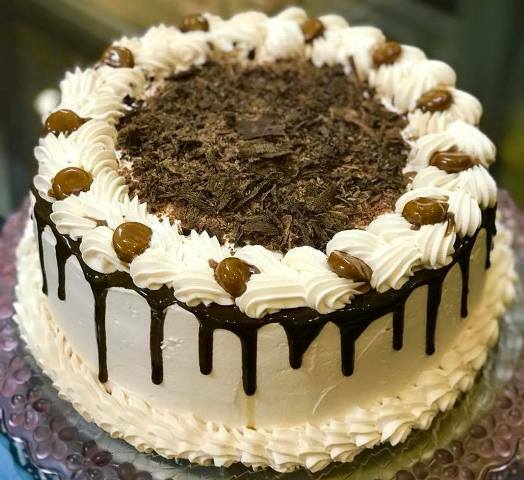 You can buy a cake from bakery, but if you bake a cake at home for your loved ones, it will show your love and passion for them. 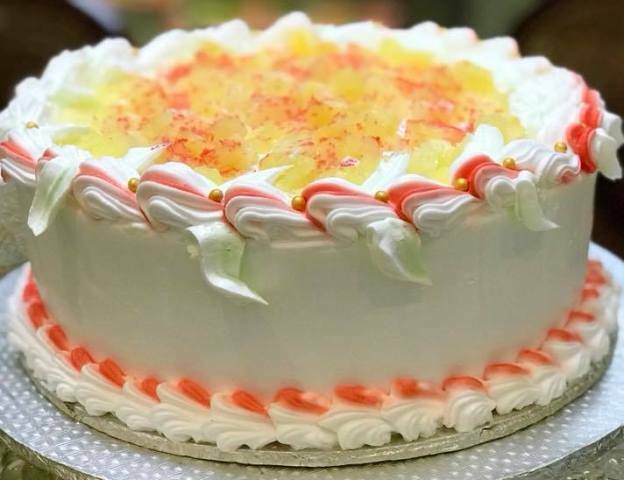 Now everything is easily available in the market and you can bake a beautiful decorated cake at home at cheap price. A beautifully decorated cake gives immense pleasure to all that you can’t get from a bakery cake. There are several cake recipes to follow. We have selected here tried and tested Easy Cake Recipes for Beginners. Must try and share your feedback. 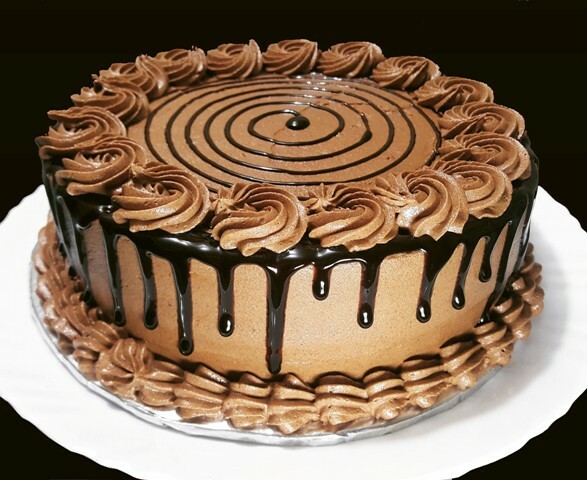 This delicious & easy Mocha Butter Cream Frosting Cake Recipe is so decadent. I used this frosting on a vanilla cake that is also very soft, spongy & super easy cake recipe. You can bake it and can eat without any frosting with tea or coffee. The combination of vanilla and mocha chocolate is also very delicious and mouthwatering. If you don’t have butter milk then you can make your own it’s very easy and simple to make. 1 cup milk & 1 tsp lemon juice or white vinegar stir both ingredients in a small bowl or cup and set it aside for 10 to 15 minutes. Butter milk is ready to use. Beat eggs and sugar until creamy, smooth and double or triple in volume. Then pour in oil and beat again for 30 seconds or until well incorporated. Then add vanilla essence mix well. Add in flour in 2 to 3 portions by adding buttermilk alternatively. (I Means add 1 cup flour then 1/3 cup of milk then again flour and milk in this way finish both ingredients and mix until well combined. Pour batter in your prepared cake pan and bake for 35 to 45 minutes or until done. Time can vary oven to oven so check with cake tester if it comes out clean then you are done with your baking. Let it cool for 15 minutes. Then remove from pan and let it cool completely on a wire rack. Later level it with a serrated knife then cut it in two layer’s and then decorate with butter cream frosting. Beat butter and shortening until creamy then add in vanilla essence and beat again for 30 seconds then add icing sugar half to 1 cup at a time and beat on medium speed till all sugar mix. Add coco powder in two portions. Now frosting will be dry so it’s time to add milk and coffee mixture, add 1 tsp at a time and beat until your frosting becomes fluffy. You will need 1 to 2 tbsp but add gradually. During all process of beating scrape down the sides & bottom of your mixing bowl so that mixing will be even. You can keep this frosting in an airtight container in refrigerator for 15 days or in freezer for a month. When you want to use beat again and use. In a bowl beat egg yolks, flour, cocoa powder, 125g sugar, baking powder, salt, oil and mixed coffee. In another bowl beat egg whites along 25g sugar until stiff. Combine both batters by folding whites into yolks’ batter and pour into prepared pan and bake at 180C for 40 minutes. In a heavy base pan, heat up sugar, once it’s melted and turns to golden add cream and butter. Bring to room temperature. Whip heavy cream and add some caramel sauce in it. Boil water and add sugar. When sugar dissolves, add coffee. Whisk to dissolve coffee. Bring to room temperature. Cut the cake in two layers. Sprinkle sugar syrup on both layers. Spread whipped cream generously on one layer and cover with other. Cover cake with whipped cream. Décor with chocolate as shown in picture. 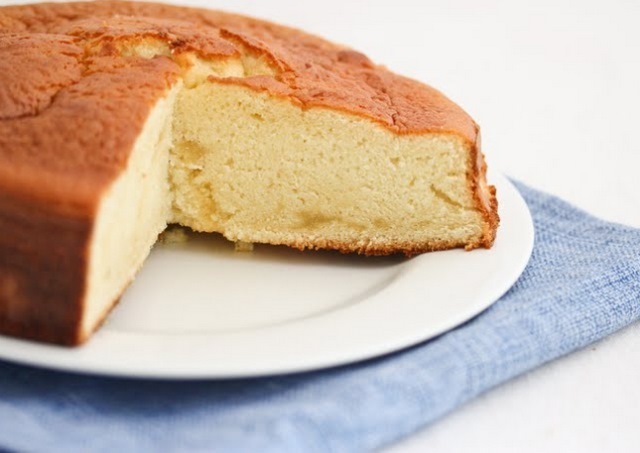 The most light and fluffy sponge cake. You can convert it into pastry cakes or individual pastries. It doesn’t contain butter/oil or baking soda/ baking powder, yet its fluffy and soft. You can convert this Sponge cake into Chocolate cake by adding cocoa powder to the batter, decreasing the All Purpose Flour. Begin by separating egg yolks and egg whites. Add egg whites to a bowl followed by sugar and beat with the electric hand mixer until it forms stiff peaks.This is called “Meringue”. (It took about 5 minutes on high speed). Next add Egg yolks, followed by Vanilla essence and beat well again for about 1 minute. To this Eggy foam add all purpose flour and blend it for 10 seconds. If you beat it for long time the airiness and fluffiness gets disturbed. You can also use light weight spoon or spatula and incorporate the flour to the Egg foam. Grease the cake tin (7″) with butter or oil and transfer the cake batter to the tin and bake in the preheated oven(150 degrees C° ) for 30 minutes. After baking the cake, check it by inserting a toothpick or skewer, if the toothpick/skewer comes out clean then your cake is baked and done. Let the cake cool completely and run the knife around the edges of the cake and invert it on the plate. For every 1 cup of flour remove 2 tbsp flour and in place add 2 tbsp of cornstarch. 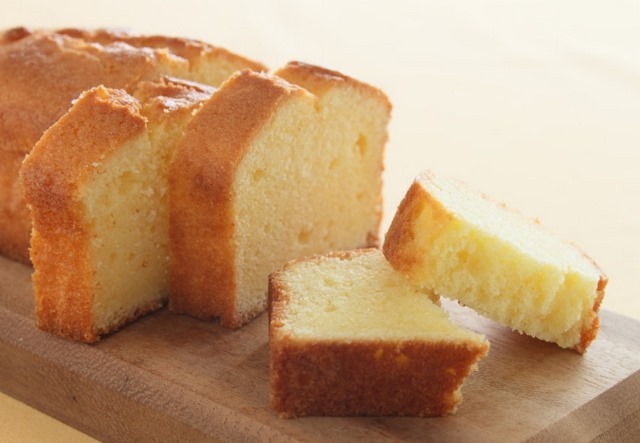 Note: Don’t attempt to mix this cake unless the butter is very soft, almost the consistency of mayonnaise, or the flour and butter mixture will be stiff and will not combine easily with other elements of the batter. Line & grease 9×3 inch pound cake pan. Set rack in middle of the oven and preheat to 160C. In the bowl of electric mixer, whisk yolks and add sugar, vanilla essence and lemon extracts. Whip on medium speed until the mixture is pale colored and aerated 3 to 4 minutes. Scrape into a large mixing bowl. Mix the cake flour with baking powder and set aside. Without washing the mixer bowl, beat the butter for 1 minute, add flour mixture and decrease the speed to lowest; scrape the flour butter mixture over the yolk paste and stir. Scrape the batter in prepared pan and smooth the top. Bake the cake for about 1 hour (in my oven it took 50 minutes, so check after 45 minutes) until it is well raised and beautifully cracked in the center. Cool the cake in the pan for 5 minutes then unmold it onto the rack to cool right side up.Storage: keep the cooled cake wrapped in plastic at room temp or under a cake dome. Wrap and freeze for longer storage. Defrost the cake and let it come to room temp before serving. All baking ingredients should be at room temperature. Sieve flour & baking powder together & keep aside. Line & grease an 8″inches cake pan & set it aside. Preheat your oven at 180ºC for 15 to 20 minutes. Temperature can vary according to oven so this is recommended to check cake after 30-35 minutes by testing with a knife. If it comes out clean then it’s ready.